Open to pianists with an interest in performing with and coaching singers and/or instrumentalists. This highly selective program engages one or two pianists as part of the Vocal Intensive program and one or two pianists as part of the String and Wind Chamber Music programs. Pianists will receiving mentoring from two professional coaches who are well regarded in the field: Peter Marshall - pianist for the GRAMMY-award-winning Atlanta Symphony Orchestra and Chorus and Edward Newman - internationally acclaimed collaborator in orchestral and chamber settings. Additionally, they will observe and learn from our stellar roster of voice and instrumental teachers. 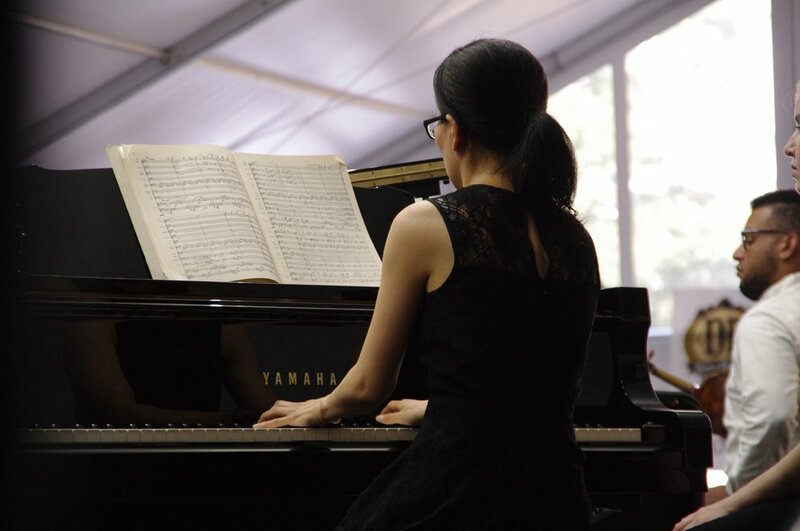 Pianists will play for masterclasses, rehearsals, coachings, and performances and participate in professional development. Collaborative pianists working with vocalists will take part in diction training, and seminars on vocal health. This experience is intended to train the pianist to be well equipped to work with singers and/or instrumentalists. Collaborative Piano Fellows receive full tuition, room and board, and a travel stipend. Arianna Zukerman - Chair of Vocal Studies, Wintergreen Music Academy; International Soloist; Faculty, Benjamin T. Rome School of Music at Catholic University and Potomac Vocal Institute. February 1: Early Bird Deadline. Fee $45. Audio or video (preferred) recordings of applicant performing at least two contrasting pieces in a collaborative performance - preferably representative of the preferred program (voice or instrumental). Applicants may upload file or provide a link during the application process. Application Fee: February 1: Early Bird Deadline. Fee $45.